The Wilson Chamber of Commerce plays a critical role in developing leaders for our community. We offer access to three programs, each uniquely designed to nurture leadership growth as a means of preparing Wilson for the challenges and opportunities that lie ahead. 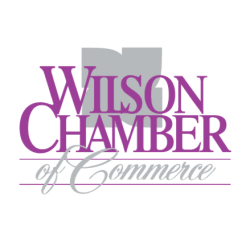 Dynamic Leadership Wilson is the Chamber's signature program designed to more fully orient leaders with our community. Leaders from all business sectors are invited to participate in this year-long program that begins with a 2-day coastal retreat, followed by monthly experiences designed to immerse participants in various community influences (crime and judicial system, state and local government, education, etc.). Participants emerge with a heightened awareness of what makes Wilson work. The Impact Initiative is a rigorous, highly selective leadership development program intended to identify and train candidates interested in serving in visible public service capacities. Participants attend 10 training sessions, 6 community events, will work collaboratively on a 'white paper' to address a community need, and will emerge ready to serve in appointed and elected positions. The Impact Initiative is a joint project of Wilson 20/20 Community Vision, Wilson Economic Development Council, and the Wilson Chamber of Commerce. Chamber Young Leaders provides events, forums, and educational sessions designed to engage emerging leaders ages 23 to 39, and help them to become more competitive in the business arena. The program offers Young Leaders the opportunity to establish business contacts through networking and to grow both personally and professionally through a variety of program topics.